The report said that the suspect is part of a syndicate offering victims domestic helper jobs in Saudi Arabia but deploys them on tourist visas. 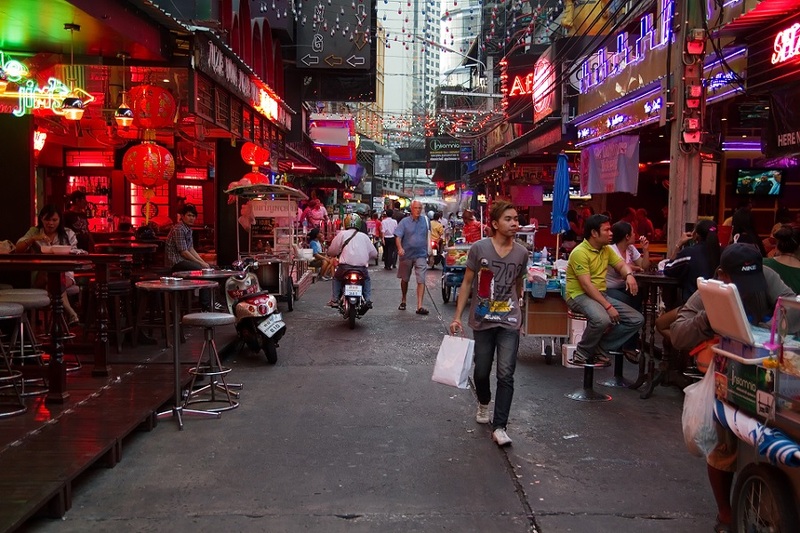 Instead of Saudi, victims are actually brought to Thailand to work as prostitutes. Once in Thailand, the working visa will be pasted over the tourist visa. “Ipapatanggal yung employment visa para pag na-check sa immigration hindi mahalata. Tourist siya kunwari,” Tecson said. It was at Ninoy Aquino International Airport Terminal 1 on Wednesday, where the suspect was apprehended by members of the National Bureau of Investigation – Anti Human Trafficking Division at Terminal 1. The suspect was with a female passenger who is believed to be his latest victim. During the NBI’s arrest, Tecson presented himself as a lawyer. He later admitted that he was an illegal recruiter after initially denying the accusation. He also revealed that he has an accomplice working at the Philippine Overseas Employment Administration (POEA).